In five days, on Jan 29th, Jang Keun Suk will be honored by the #IOC with carrying the #Olympic torch from ChunCheon towards Hongcheon. 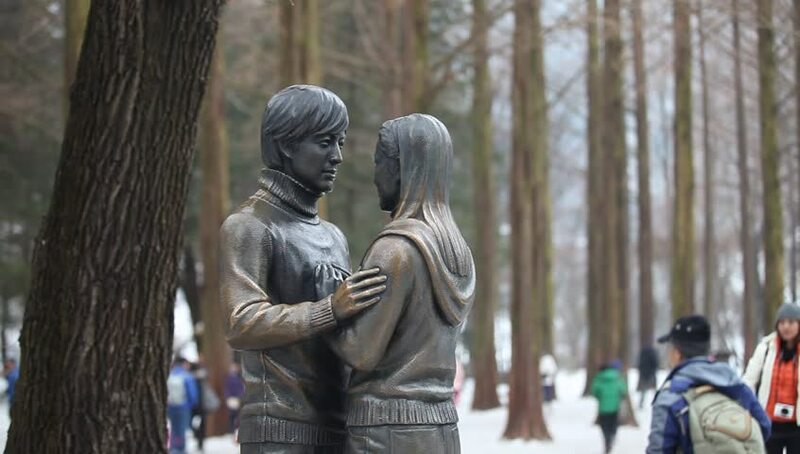 To commemorate that significant event, let’s take a tour of #ChunCheon to see what that historic city offers visitors. First of all, Chuncheon (literally spring river) is the capital of the Gangwon Province. The area now occupied by the city was first settled about 1000 years ago. In 637 AD, the city was called Usooju. In 757 AD, it was renamed Saku and again in 940 AD as Chunju (춘주, 春州) before receiving its current name in 1413. 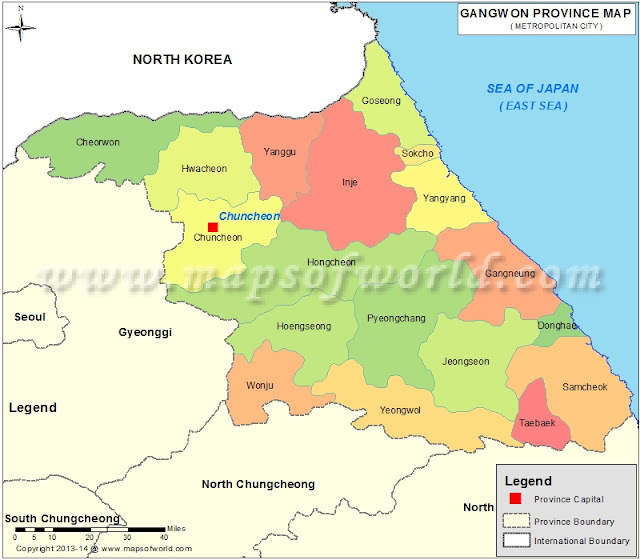 In 1896, Chuncheon became the capital city of Gangwon province. However, the city was largely destroyed during the Korean War during the Battle of Chuncheon. Since the end of the Korean War, Chuncheon has rebuilt its commercial and tourist trade business as well as become a industry hub in PyrongChang Province. The city is tucked away in a basin with Uiamho Lake to the west, Chuncheonho Lake and Soyangho Lake to the north, and Sinyeongang River to the south, making this a city surrounded by water and beautiful forests. It's close proximity to Seoul makes Chuncheon a popular day-trip destination for tourists and residents alike who want to escape to the quiet counntryside. This popular riverside tourist destination provides many places to visit, including Namiseom, Jungdo Island, Cheongpyeongsa Temple, Gongjicheon area, Wido Island, Soyanggang River, Samaksan Mountain, Deongseon Waterfall, Gugok Waterfall, Jipdarigol Natural Forest, and Chuncheon Hunting Camp. Looking at the topography of Chuncheon, it's easy to see that it is a lakeside city, with Wido, Namiseom, and Uiam Islands near the center. The city, itself, lies in the north of the county, located in a basin formed by the Soyang River and Han River. Notably some of the nation’s largest lakes, mostly man-made, are in Chuncheon : Lake Soyang and Lake Uiam (or Dam Uiam). The area is also renowned for its small river islands, such as Sangjungdo, Ha-Jungdo, Bungeodo and Wido. For travelers weary of Seoul's crowds and big city atmosphere, Chuncheon offers an ideal place to spend several days. The area, surrounded by rives and hills, presents a variety of relaxing outdoor activities and small town pace while at the same providing both the gastronomical feasts that Korea has become famous for and hotels that satisfy tourist longings for comfort. 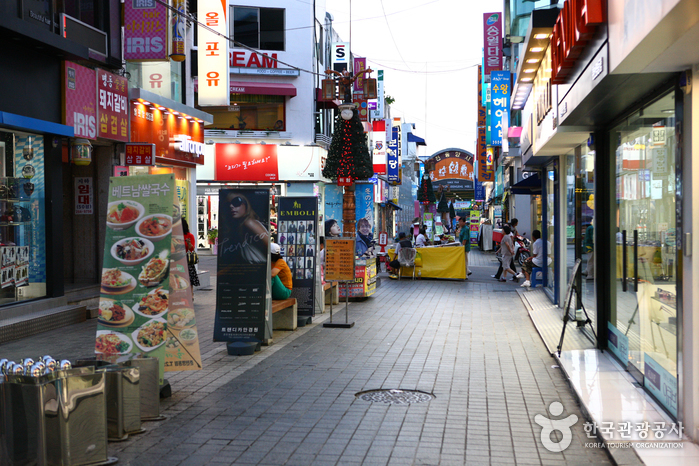 The city was historically known as a chicken farming region and is famous for "dak galbi", which translates as chicken ribs. It consists of chicken, sliced cabbage, sweet potatoes, tteok (rice cakes), and scallions, mixed with a spicy sauce heavy on gochujang. It is usually cooked in a big iron pan in the center of the table, but the original method is over charcoal. Despite the name, the dish is traditionally made from leg meat, not ribs. There is even a street in the city dedicated to restaurants serving the dish, with some 25 restaurants populating the area. Also, the Makguksu noodles, a dish from Chuncheon, is famous throughout the nation. Chuncheon is the market center for agricultural produce from the surrounding area. The main products are rice and soybeans. Since the 1960s light industry has become dominant in the city. After the huge success of the TV drama, Winter Sonata, the city has also become a major "Korean Wave" (Han-ryu, 한류) tourist destination, attracting visitors from around East Asia. Legoland Korea is also under construction in Chuncheon. The first Legoland in Northeast Asia, it will be built in a 1.29 square kilometer parcel of land in Jungdo island and is expected to draw over a million tourists when it opens. It will be the largest Legoland in the world. A large island on the Soyang River. A ferry runs to the island every half hour. The island makes a great day trip or picnic. Tourists can hike around and see ancient Korean huts, or rent bikes and ride a paved trail that goes around one side of the island. At the head of the Soyang river. The dam creates Soyang Lake. Boat rides are available to tour the lake, and there are boat rides that take tourists to a hiking trail to see a Buddhist temple. A park with many marble statues and a building which contains and replica of an ancient Korean water clock. A small store provides bike rentals and across the street are docks where visitors can rent paddle boats on the river. The river feeds into the Soyang and from there people can see Jungdo island. The Ethiopian war memorial is adjacent to this park. South Korea's National Treasure No. 164 is a Buddhist temple dating back to reign of King Gwang-Jong (949-975). Tucked away in a valley between two mountains, it sits at the southern ridge of Mount Bong. The walk up to Cheongpyong Temple is one of Korea's most beautiful walks. Surrounded by woods, clean air and a beautiful stream with many waterfalls, the walk up to the temple is a walk that one does not want to miss. In addition, traditional houses, ancient huts, and pottery, next to Ch’unch’ŏnsam-gyo, dot the landscape from Chuncheon to nearby Nami Island. 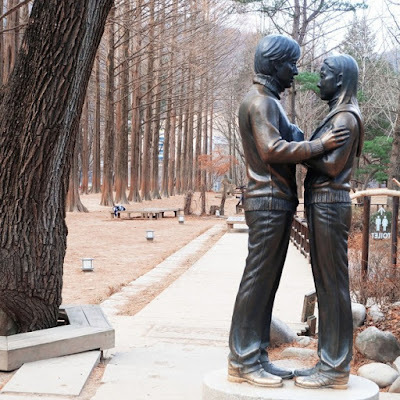 In addition, the Chuncheon area offers numerous large picnic areas for tourists to enjoy a leisurely afternoon outdoors...just as JKS did during My Ear Candy on nearby Nami Island. No matter what one's tastes are, Chuncheon surely offers the atmosphere and attractions to please everyone who visits this ancient and beautiful city.